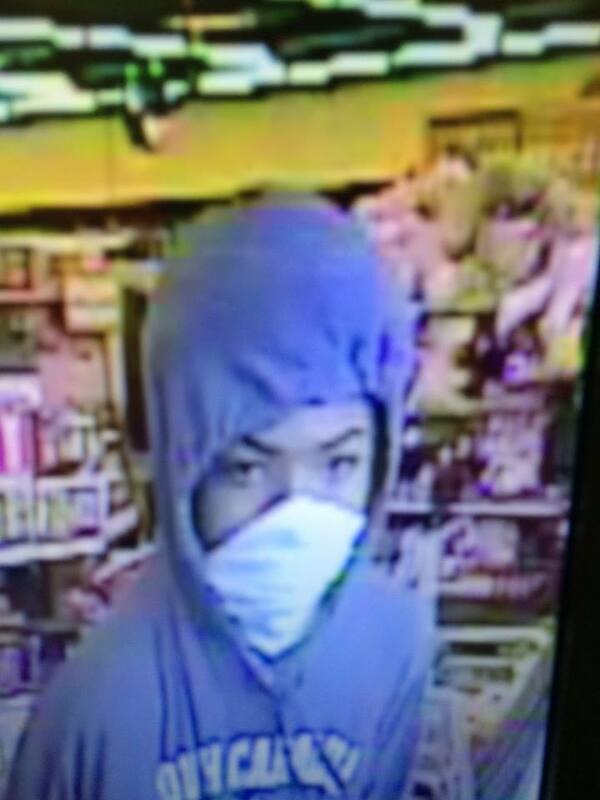 Did you see this person at the Family Dollar in North Charleston, get a reward for information leading to the arrest! 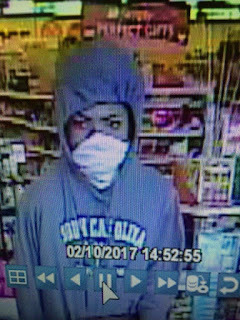 | Crime Stoppers of the Lowcountry: 554-1111 | 1-888-CRIME-SC | Anonymous tips earn cash rewards with Crime Stoppers of the Lowcountry. Home | News | Did you see this person at the Family Dollar in North Charleston, get a reward for information leading to the arrest! Did you see this person at the Family Dollar in North Charleston, get a reward for information leading to the arrest! Shortly before 3 pm today, a black male entered the Family Dollar Store on Highway 78 armed with a silver revolver and demanded money from the clerk. 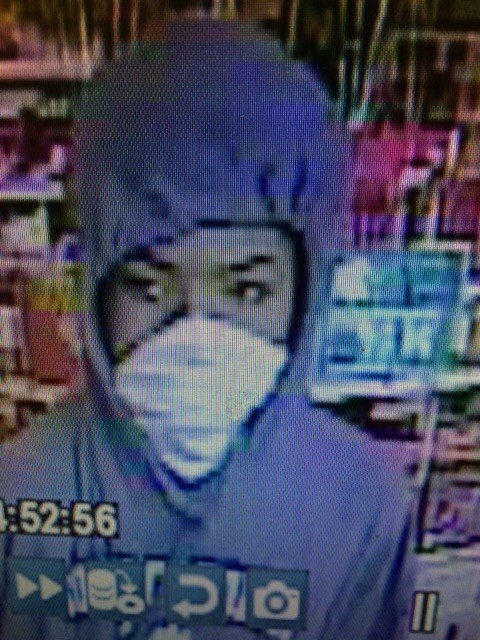 The clerk complied and the suspect fled the business. The suspect was last seen running toward Fernwood Drive and possibly entering a blue unknown make or model vehicle. The suspect is described as a black male, 5’08’’, 130lbs, wearing a grey hoodie, blue jeans with a white doctors mask around his face and armed with a silver revolver. 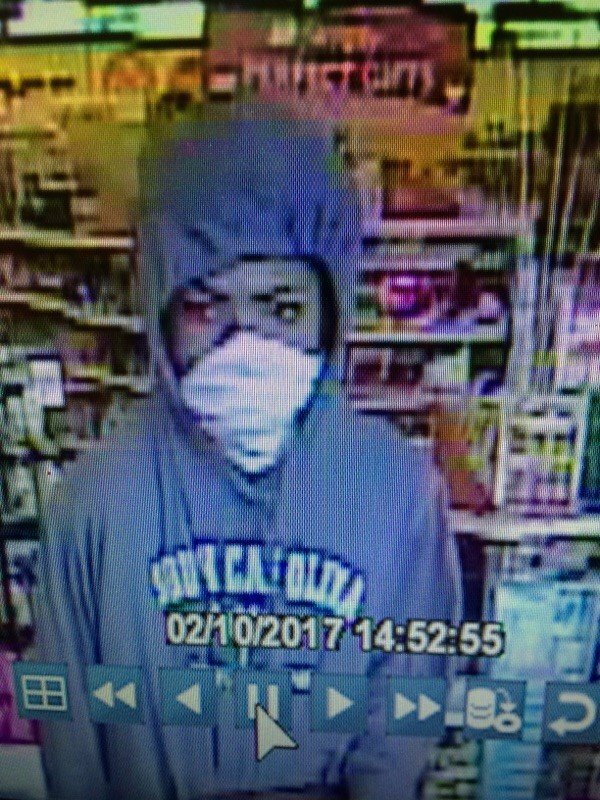 Anyone with information should call NCPD at 843-554-5700 or Crimestoppers at 843-554-1111.